The Georgia Guidestones are a collection of standing stones near Elberton, Georgia. Built in 1980, they are primarily composed of six slabs of granite: one central pillar, four "major" stones that fan out from the center, and a capstone. The capstone has engravings on all four of its sides in four different ancient languages, all of which read, "Let these be guidestones to an Age of Reason," when translated. The major stones are each engraved on both sides, and each side contains text in one of eight modern languages asserting the same ten guidelines. Those guidelines have proven extremely controversial, causing speculation and rumors of conspiracy that go far beyond northeast Georgia. Conspiracy theorists surmise a global plot on the part of a group of shadowy men to subjugate and oppress the world's population and create a "new world order." Others believe that the man behind the monument was a Rosicrucian, and that the stones are representative of that group's magical manifesto. Some people even believe that it is a landing site for an alien spacecraft of some kind. At the heart of this confusion is the missing piece of the puzzle: who was the mystery man who started the entire chain of events? Georgia native Raymond Wiley was interviewed for The History Channel's Brad Meltzer's Decoded program about the Guidestones and is a principal expert for a feature length documentary currently in production. 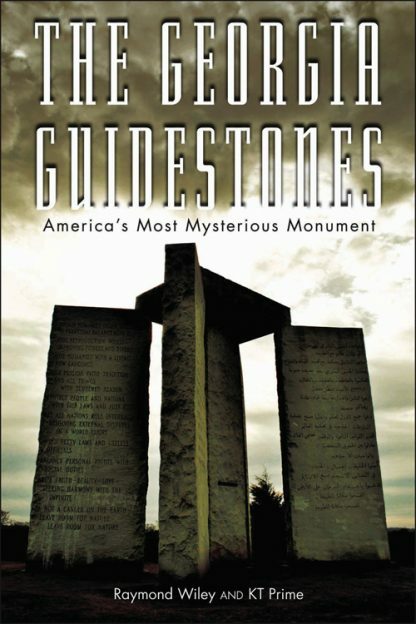 With local writer KT Prime he has written the definitive account of America's most famous megalithic monument.